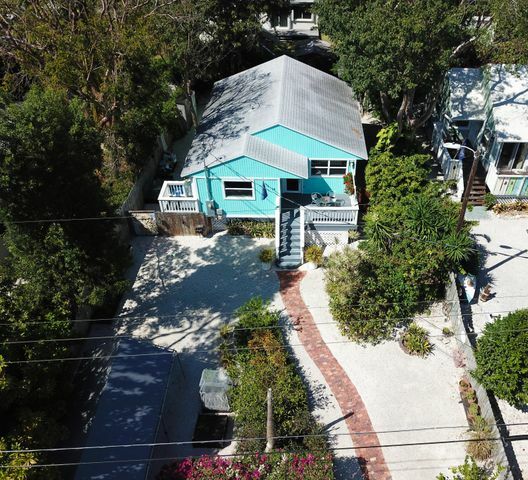 Turnkey, completely renovated tropical home that reflects the tasteful artistry and attention to details of the owners. 2 bedrooms 2 baths plus an artist studio. Mahogany wood floors, sparkling European inspired baths, soaring ceilings, chefs kitchen with sit up granite bar, walk-in pantry & stainless appliances, this home is an entertainers delight. A full array of impact windows and doors. Tropically landscaped yard includes a mix of natives and tropical plants along with raised garden beds to inspire your green thumb! Old Chicago brick paver walkways and deck, privacy fenced, covered parking and double gates. Bayside homeowners park with 72-hour dock-age for your boat . Close to Adams Cut waterway. Enjoy nightly sunsets from the dock and park. 1 hour to Miami International Airport.